A day before World Environment Day on June 5, the new Ministry of Ecology and Environment bared its teeth on the governments of three localities after concluding that they had not taken strong enough measures to correct environmental problems exposed during earlier inspections. The ministry summoned their leaders and demanded they rectify the situation. Previously known as the Ministry of Environmental Protection, it obtained its current name after the 13th National People's Congress approved a government reshuffle in March. As of May 31, all of the 25 institutions involved in the reshuffle had been launched, according to Xinhua News Agency. "From the Ministry of Environmental Protection to the Ministry of Ecology and Environment, the change is not just in name," said Liu Youbin, a spokesperson for the restructured ministry. He said that it will make relevant plans to ensure a smooth transition between the old and new institutions, so that the new organization operates efficiently and fulfills its new responsibilities. This round of reshuffling not only covers Communist Party of China (CPC) and state institutions, but also legislative and political advisory bodies, judicial, military and social organizations. Changes at the Central Government level are scheduled to be completed by the end of this year. The first newly-created organization that went into operation was the National Supervisory Commission. It was inaugurated on March 23, two days after the CPC Central Committee published its plan to deepen the reform of Party and state organs. The commission was set up to strengthen the Party's centralized leadership on anti-corruption work. It will both enforce Party discipline and oversee all people exercising public power. China's Supervisory Law stipulates that the list to be supervised include Party cadres and civil servants, as well as employees of public institutions, managers of state-owned enterprises and community-level people's self-governing organizations. The commission's role is mainly to handle cases of corruption, dereliction of duty and other duty-related crimes. In May, the commission announced that it had started investigations against Zhang Shaochun, former Vice Finance Minister, and Pu Bo, former Deputy Governor of Guizhou Province, for serious suspected violations of Party discipline and laws. The State Immigration Administration (SIA), a new organization, was launched on April 2, and has already introduced several new initiatives. It announced that beginning on May 1, tourists from 59 countries can now visit south China's Hainan Province without a visa. This visa-free policy will attract more international tourists to Hainan, boosting the island province's image as an international tourist resort and promoting its development, said Min Haiyun, an SIA official, at a press conference unveiling the policy. The visa waiver has produced immediate results. In May, tourists from the 59 countries made over 24,000 visits to Hainan, up 8 percent year on year, according to figures from the provincial public security department. Since 2000, visa waivers for Hainan have been granted to group travelers from 21 countries who can stay for up to 15 days, said SIA's Deputy Director Qu Yunhai. In 2010, the waiver was expanded to cover tourists from 26 countries. And now with the number increased to 59, the length of stay has also been extended to one month, Qu said, adding that solo travelers can also enjoy the waiver. The new administration was created to develop immigration policies, manage border entries and exits, and improve visa management in response to an increasing number of foreigners living and working in China. But it is also geared to making Chinese citizens' outbound travel easier. 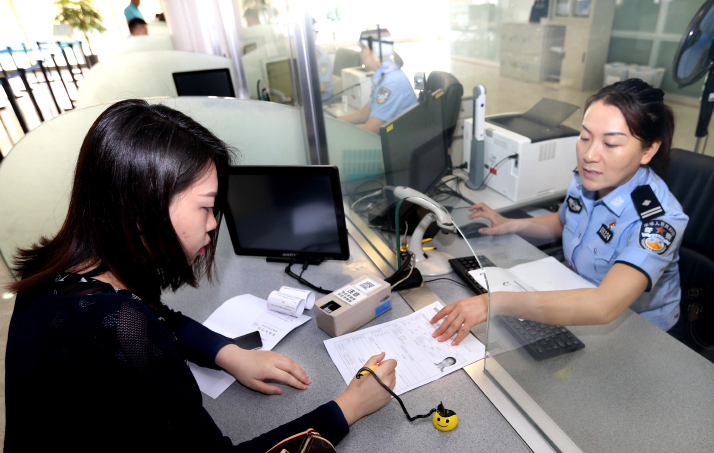 In April 26, it announced a policy to simplify the application procedure for outbound Chinese nationals. In the past several weeks, these new central organizations have mushroomed one after another. 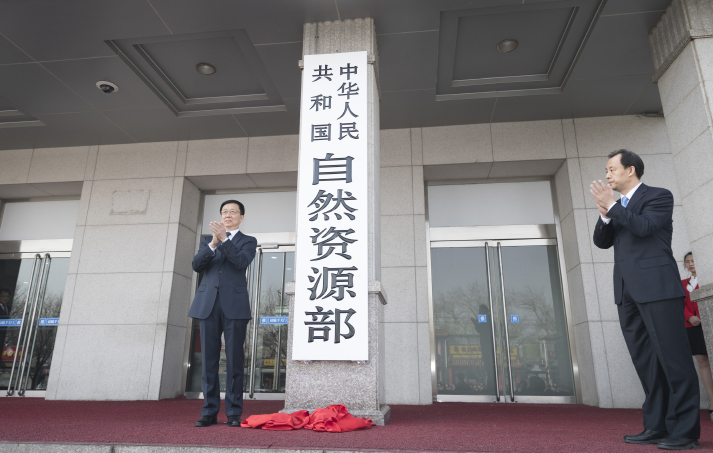 The Ministry of Emergency Management was unveiled on April 16. It has been diligently fulfilling its responsibilities, handling a coal mine explosion on June 5 in Benxi, northeast China's Liaoning Province. According to the ministry, explosives went off at the wellhead of the coal mine, initially resulting in 11 deaths, nine injuries and 25 people trapped underground. After receiving the report, the ministry immediately dispatched a work group to the site, and its leaders coordinated and directed rescue work via a video link. As of midday on June 6, of those trapped, 23 had been rescued, while two remained missing. The last central organ to be unveiled was the State Medical Insurance Administration, which was launched on May 31. Its main responsibilities include formulating policies, plans and standards regarding medical insurance and assistance, supervising related funds, improving cross-region cost-settlement platforms, and formulating pharmaceutical purchasing policies and standards. The reshuffle was initiated after problems were found with the previous structure of Party and state organs such as unclear responsibilities, cross-regulation and weak supervision. It is aimed at solving existing problems, said State Councilor Wang Yong. The move will strengthen government function in economic management, market supervision, social management, public service and ecological and environmental protection, said Wang. After the reshuffle, the number of ministerial-level entities under the State Council, China's cabinet, has been reduced by eight and vice-ministerial-level entities by seven, he added. Besides the SIA, other new organizations include the Ministry of Veterans Affairs, the Ministry of Emergency Management and the International Development and Cooperation Agency primarily tasked with handling foreign aid-related issues. A number of organizations were formed by merging existing institutions or similar departments. For example, the Ministry of Culture and Tourism is an annexation of the former Ministry of Culture and State Tourism Administration. The former Party School of the Central Committee of the CPC and the Chinese Academy of Governance were merged to form a new school, which bears the name of the former. The Banking and Insurance Regulatory Commission replaced the former China Banking Regulatory Commission and China Insurance Regulatory Commission. Previously, natural resources were managed by several government ministries. The National Development and Reform Commission was responsible for planning major functioning zones. The Ministry of Housing and Urban-Rural Development covered urban and rural land. The Ministry of Water Resources was responsible for water resource surveys and ownership registration and management, while the Ministry of Agriculture dealt with work related to grassland. The State Forestry Administration and the State Oceanic Administration covered their own respective fields. Now, all of these responsibilities come under the newly formed Ministry of Natural Resources, which oversees the development, utilization and protection of natural resources. "A salient feature of this institutional reform is that Party and state organs are reformed simultaneously and in a coordinated manner, and the Party's leadership is highlighted," said Zhang Xixian, a professor with the Party School of the Central Committee of the CPC. A good example is the overlapping work of the United Front Work Department of the CPC Central Committee and the Overseas Chinese Affairs of the State Council, which both handled overseas Chinese affairs. After the institutional overhaul, the latter was incorporated into the former. Since 1981, the central departments of the Communist Party of China have been reshuffled four times in 1982, 1988, 1993 and 1999. State Council, China's cabinet, institutions have undergone seven restructuring in 1982, 1988, 1993, 1998, 2003, 2008 and 2013.